However you feel about the Prequel Trilogy, one of its greatest assets is Qui-Gon Jinn—if you can pretend he never said the word “Midichlorians“. 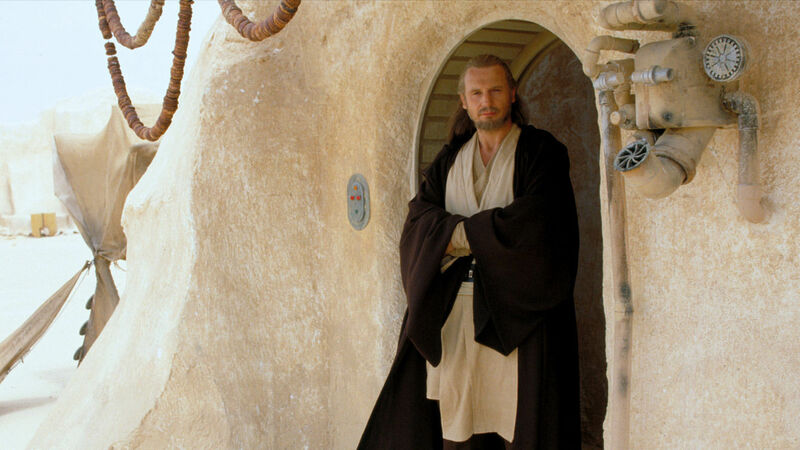 Even though he is introduced and killed in Episode 1: The Phantom Menace , and is scripted to do and say many things Star Wars fans find strange, Jedi Master Qui-Gon Jinn struck a chord with fans. Despite his limited screen time, he has since reappeared. 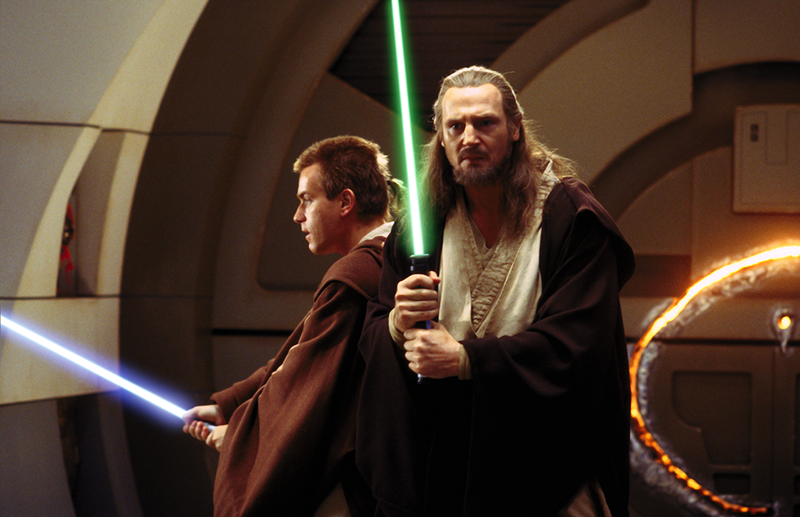 Obi-Wan Kenobi (left) and Qui-Gon Jinn battle aboard the Viceroy’s ship in Episode 1: The Phantom Menace. Although never filmed, Jinn was originally scripted to re-appear as a Force ghost in Episode III: Revenge of the Sith. The scene would have had Jinn speaking with Yoda regarding Anakin. It wasn’t included in the film, but a reference to it was. “An old friend has learned the path to immortality. 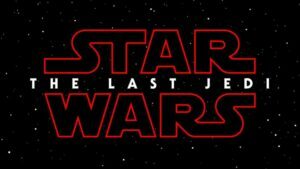 One who has returned from the netherworld of the Force, your old master,“ Yoda informs Obi-Wan Kenobi at the end of the film. “How to commune with him, I will teach you.“ The novelization of Revenge of the Sith retains the original scene that never made it into the movie. 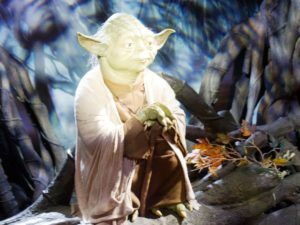 Despite Yoda’s proclamation and Kenobi’s surprise at it coming within minutes of the end of the Prequel Trilogy, a potential in-canon contradiction arises from it as, later, in real world time, but long before in the story timeline, Jinn as already made contact with Kenobi from beyond death. In the episode of the animated Star Wars: The Clone Wars titled “Ghost of Mortis,” Jinn appears to Kenobi as a Force ghost. When Kenobi asks how his late master was able to perform such a feat, Jinn explains that Mortis, the planet on which they conversed, was a conduit for the Force and acted as an amplifier. Interpreted strictly, the later conversation between Yoda and Kenobi about Jinn does not create a contradiction with this earlier communication from “the netherworld of the Force.” Put simply, the planet Mortis was the means by which Jinn communicated with Kenobi, but he apparently later learned how to do it without such an aid. That explanation supports, and is supported by, an even earlier discussion Jinn has with Yoda on a different episode of Star Wars: The Clone Wars. At that time, Jinn could only send his disembodied voice to Yoda. During the manifestation on Mortis he was both audible and visible, a complete Force Ghost. Qui-Gon Jinn appears as a Force ghost to Obi-Wan Kenobi. Although The Phantom Menace opens with Jinn already a Jedi Master—and one set on playing fast and loose with the Force and the rules of the Jedi Order—his backstory has been chronicled in Legacy ne Expanded Universe novels. 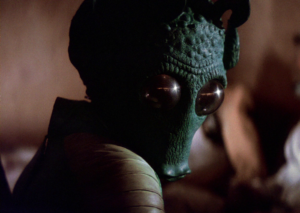 Like most Jedi of the Republic, Jinn’s ability in the Force was identified in infancy, and he was subsequently taken from his family and raised in the Jedi Temple. 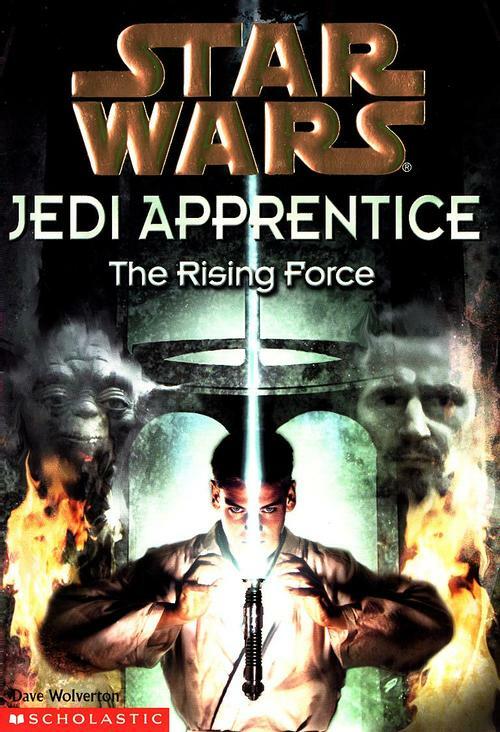 His early training is uneventful, but we discover Jinn’s evolution as a Jedi Knight and Master through The Rising Force , The Dark Rival , and sixteen other books in the young adult Jedi Apprentice series . The series primarily focuses on Jinn and his Padawan, Obi-Wan Kenobi, though we learn that Kenobi was not Jinn’s first apprentice. His first, Xanatos, was lost to the Dark Side. Jinn took the event as his personal failure as a teacher and spent many of the following years refusing to train another Padawan. His initial meeting with Kenobi as a twelve-year-old boy doesn’t change his mind. While recognizing Kenobi’s skills, Jinn believes the boy’s anger makes him a poor candidate for Jedi training and a risk for falling to the Dark Side like Xanatos. The Rising Force, the first book in the YA series Jedi Apprentice. Jinn eventually relents and takes Kenobi as his apprentice ironically because of Xanatos. Xanatos, leading a criminal corporation, plots to kill his old master, but, with Kenobi’s aid, Jinn escapes the trap. Further into the Jedi Apprentice series, approaching the time of the Prequel Trilogy, Jinn works with his master, Count Dooku. Aided by now Jedi Knight Kenobi, Jinn and Dooku begin a diplomatic mission only to have it interrupted by pirates led by a rogue Jedi. During the battle with this fallen Jedi, Lorian Nod, Dooku is overtaken by anger at his friend Nod’s betrayal. Jinn’s strong will and quick actions prevent Dooku from murdering Nod while foreshadowing Dooku’s eventual fall to the Dark Side. Although Jinn appears in Star Wars: Republic and other comics from Darkhorse, and is mentioned, usually posthumously, in a number of novels and comics, it’s the Jedi Apprentice Series written almost exclusively by Jude Watson that gives Jinn a full biography. It details his growing dissidence with the Jedi Code and its enforcement by the authority of the Jedi Council, which, in turn, made Jinn such a maverick Jedi Master who passed along the crucial, unapproved lessons and attitudes that would eventually bring balance to the Force through Luke Skywalker by way of Obi-Wan Kenobi’s teachings, teachings that Qui-Gon Jinn helped define. While the Jedi Order practiced meditation to discern the future, Jinn lived in, and encouraged in his Padawan a focus on, the moment, using the Force to provide insight into the present and inform one’s instincts, which he also believed should be followed. 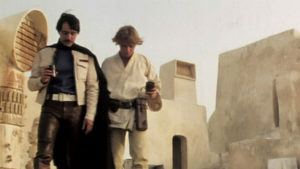 These same beliefs are expressed in Luke Skywalker’s actions thirty years after Jinn’s death when Yoda, the ultimate example of the Jedi Order and its rules, warns Luke Skywalker to ignore the immediate danger faced by Princess Leia and Han Solo on Cloud City, and to remain on Dagobah and continue his training. Fortunately for the galaxy, Skywalker ignores Yoda and follows the twice-removed, and through Kenobi now tempered and refined, way of Jinn. 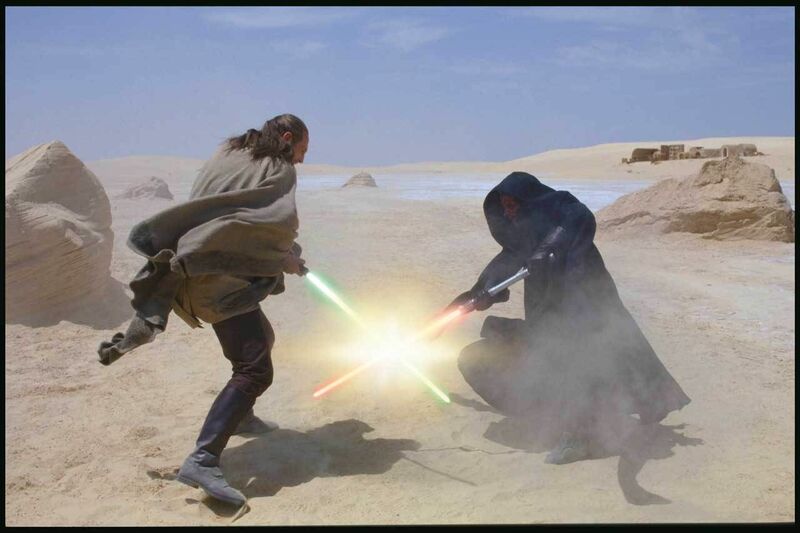 Qui-Gon Jinn duels Darth Maul. Despite having the best hair in the Jedi Order, Qui-Gon Jinn is not a popular role-playing game character. He does appear in all Star Wars tabletop and board games set in, or including, the timeline of the Prequel Trilogy. 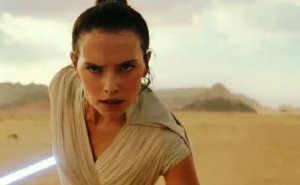 He is more commonly found in video games covering that time period, many of which capture his personality while leaving out the more derided elements of the Prequel Trilogy.